Final Fantasy IX is a weird and diverse game, but if there's one constant throughout the entirety of the game it's the Moogles. Providing save game services throughout your journey, the Moogles are a fixture in every town, city, outdoor area, and dungeon you'll ever explore... but saving isn't their only function. 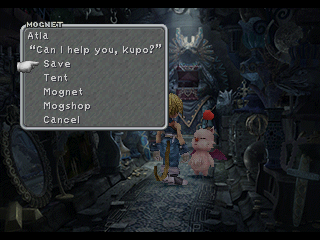 Whenever you speak to a Moogle there's a 'Mognet' option. 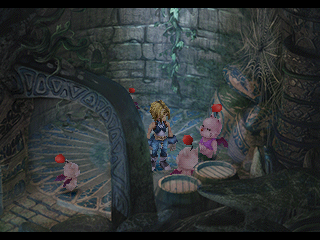 Mognet is a letter delivery system that allows Moogles to send messages to one another. Mognet seems to have stopped operating, however, and the Moogles will ask you to send letters from one Moogle to the next. You almost never have to go out of your way to do this, as the Moogles typically send their letters to the next save Moogle in line, so you might as well - particularly since there's a quest beyond simple delivery. 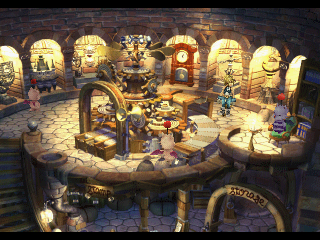 The following letters will be collected and delivered throughout the bulk of Final Fantasy IX. Their delivery may or may not contribute to the overall quest, though given that they flow along with the plot, you might as well deliver them all. Whether you've found Mognet Central yet or not, the remaining letters can only be delivered after returning to Gaia, following the events in Terra. If you're playing the original version of Final Fantasy IX, this is on the fourth disc of the game. After you've delivered the last of the letters, head over to Alexandria's mini-theatre and speak to Ruby. She'll give you some Superslick. Take this to Mognet Central to repair the problem and Artemecion, the purple delivery Moogle who caused all the trouble, will give you a Protect Ring. You can get more Kupo Nuts by delivering more letters from that point onward, though you can only hold one Kupo Nut at a time. You can more easily make deliveries to Moguta by landing on the mountain range above Gizamaluke's Grotto and entering through the forest, as this will take you straight down to Moguta and his family.